We would be looking to comparison of online shopping versus in store shopping. Most of you is regularly buying stuff online or at least occasionally from time to time. Online market and marketplaces as Ebay, Amazon, Etsy and many more are nowadays part of our daily lives. But is it good for us to buy most of our needs? Just online? Before we can try to answer this awkward question, we need to look into both variations. 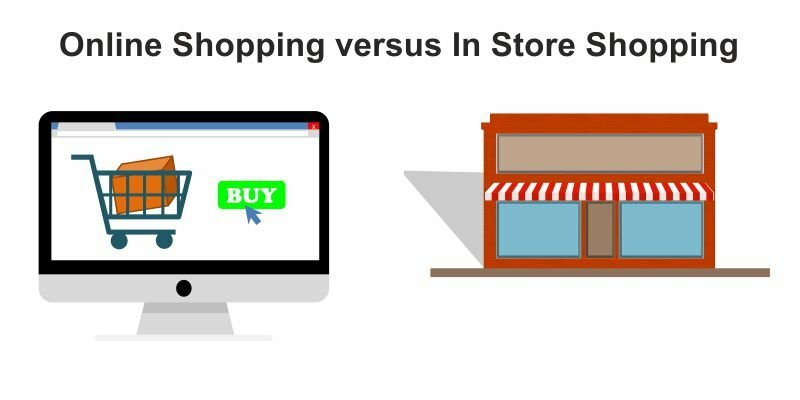 As always there are a lot of pros and cons of online shopping to compare with high-street shopping. Let’s try to quickly analyse them. So how we would answer the question above? Is really good for us to spend time for shopping only by doing online purchases? The answer is definitely No, in our opinion. Despite the fact, online buying has got a lot of pros, there are also hide cons. Another disadvantage we consider is length of time spend when searching for right product. Because of wide range and different prices, we have to spend more time to pick the ‘right’ product to compare with single high-street store. The best way is in general to keep balancing both.